The three key players in the world of veterinary digital marketing are Google, Facebook and Yelp. If your hospital has mastered the tips and tricks that these sites offer, you’re likely in a good position with your marketing efforts. However, because things are constantly evolving in the digital world, a fourth player has elevated themselves to the ranks of the heavyweights: Nextdoor. Nextdoor bills itself as a platform that lets neighbors connect online and make their neighborhoods better, which includes recommendations of local businesses, including veterinary hospitals. You can think of Nextdoor as similar to Facebook, with the biggest difference being that the content is strictly related to your neighborhood. For example, the residents of Portland, Oregon cannot see any Nextdoor content that the residents of Portland, Maine can—and vice versa. One recurring thing you may see on Nextdoor is the abundance of found pet postings—often, if you see one of these postings, you can follow the trail of comments to eventually learn that the pet has either returned home or, instead has found a new and happy home. At iVET360, we have been talking about the value of Nextdoor for years. In fact, 100 percent of the hospitals we support are active on Nextdoor, compared to 15 percent of the rest of the industry. This is relevant because our data shows that practices who are active on Nextdoor have an 18 percent higher number of recommendations than hospitals that aren’t active (keep in mind that every hospital, whether they know it or not, has a Nextdoor account). How Can Nextdoor Help My Hospital’s Marketing? 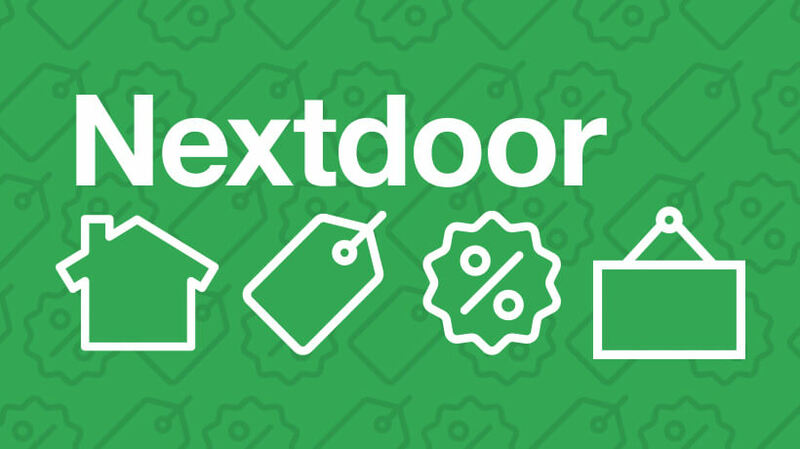 Nextdoor has recently rolled out a beta test to certain areas called Nextdoor Offers. To explain how this concept works, let’s first look at Google Posts as a comparison—Google Posts lets veterinary practices post content on their Google Knowledge Panel. This content can include promos or special offers (free first exam, 15 percent off a dental appointment, etc.) that clients can use when they come across these posts—essentially, they are digital coupons. Nextdoor Offers operates in a similar manner. It works like this: your hospital can create postings of deals, sales or special promos that people in your nearby Nextdoor networks can redeem. These offers can be accessed in three different ways: on a member’s newsfeed, through the Nextdoor Offers section and in the Nextdoor Daily Digest email. What’s great about Nextdoor Offers is that these promos show up in the newsfeed AND in Nextdoor’s email newsletter, which means there are several places that people can see these deals, which in turn equals more advertising for your practice. When a user comes across an Offer, all they have to do is click the link for further instructions on how they can redeem the Offer. The best thing about Nextdoor offers is that this tool is essentially free advertising. There’s really no catch here—it’s all free, free, free. You just have to do the legwork of creating an Offer and posting it to all the available zip codes in your area. The content of these Offers consists of a headline, details, a photo and links to a URL of your choosing. For the headline, you should write a clear and concise header that simply discusses the discount and any limitations. For the details, you should talk a little bit about your hospital and mention how a client can redeem the offer. You can also include an expiration date, terms and conditions and a coupon code in the details. For the photo, you should create a graphic about the deal that is eye-catching and includes all the most important information. If you’re unsure about how exactly to utilize Nextdoor Offers, or if your practice is too busy saving the lives of animals to take the time to master this tool, there are other options available. At iVET360, we partner with veterinary hospitals to accelerate their marketing, analytics and HR and training operations. In other words, we handle all the non-clinical aspects of a practice’s business, so that doctors can have more time to do what they do best: help heal companion animals. Our marketing experts are well-versed in all things Facebook, Google, Yelp, Nextdoor and other related avenues. By partnering with iVET360, our track record shows that we will improve your hospital’s website, social media strategy, employee engagement, culture, revenue optimization and much more. If you’re curious to learn more about Nextdoor Offers or are interested in finding out how iVET360 will improve the valuation of your animal hospital, we encourage you to contact us today. Our friendly staff will answer all your questions about how we will help enhance your veterinary hospital, one step at a time.